Work on the much debated Whitehall Road Regional Park and The Cottages development will move forward after being delayed by a sewer pump station. STATE COLLEGE — Work on the much debated Whitehall Road Regional Park and The Cottages development will move forward after being delayed by a sewer pump station. The Centre Region Council of Governments voted unanimously at an Oct. 26 general forum meeting to approve an easement for the University Area Joint Authority to operate a pump station and sewer lines that will be located on park property. The pump station will serve both the park and The Cottages. In 2012, development company Toll Brothers entered into an agreement with Penn State to purchase the land next to the proposed Whitehall Road Regional Park for The Cottages for $13.5 million. Since then, there have been many delays, including environmental concerns raised by community groups. 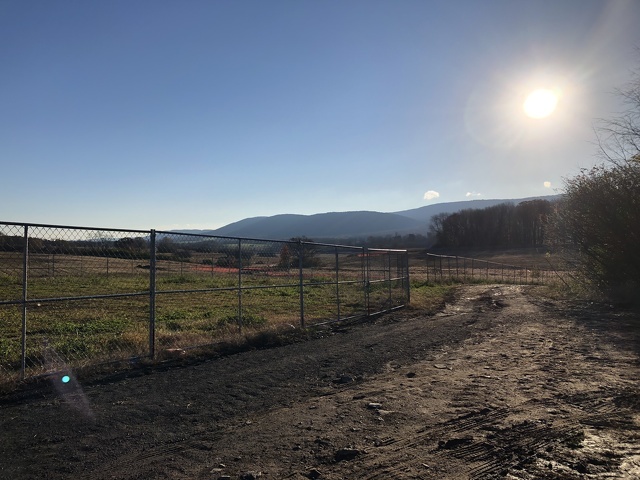 During the summer of 2017, protestors from the Nittany Valley Water Coalition camped on the land of the proposed 45-acre site on Whitehall Road expressing concerns that storm water and construction runoff would harm Slab Cabin Run and the nearby Harter-Thomas well fields. The coalition sued the developers, but in November 2017 was not granted an appeal by the state Supreme Court about the land, so litigation ended. In December 2017, Toll Brothers officially bought the property for development. The plans for the project include 268 luxury cottages with 1,000 beds for residential use in a self-contained community. At the COG meeting, members of the Nittany Valley Environmental Coalition expressed concerns about pollution to the Slab Cabin watershed and sewer run off and questioned whether a sewer pump that mostly serves The Cottages should be on park property. But John Sepp, an engineer at PennTerra and project manager for the pump station project, said that it is most cost-effective to have the pump station on the park property as was originally planned back in 2010. The pump station had been already approved by Ferguson Township, the Department of Environmental Protection, the University Area Joint Authority and the Centre Region Parks and Recreation Authority. Construction had begun at the Toll Brothers site, but the pump station issue needed to be addressed before it could continue to move forward. While some raised concern about the environmental impact of the pump station, others expressed concern that the delays are causing the park to be stalled, thus upping construction costs. Matt Vidic, president of the board of directors of Centre Soccer, said the area is in desperate need of more playing fields and the delays are costing taxpayers money. The park has been in various stages of planning for more than a decade because of the need for more playing fields for youth and adult sports. Whitehall Road Regional Park will be built in phases and will contain multiple sports fields, a playground, a restroom and a walking trail. A connector trail to the Mussers Gap recreation area will need to be relocated due to the construction and will be moved in the next two weeks. According to the Ferguson Township website, a portion of the connector trail near Whitehall Road will be relocating approximately 50 feet to the west to accommodate construction in the area. Another section of the connector trail will be re-routed through the Whitehall Road Regional Park woodlands. Once it is complete, the trail will remain open to the public until a new access road and bike and walking path are completed.